PET/CT scans using the radioactive fluorinated inhibitor of prostate-specific membrane antigen (PSMA) known as 18F-DCFBC (or just DCFBC) are better at detecting metastases in men with metastatic hormone-naïve (HNPC) and castration-resistant prostate cancer (CRPC) than traditional imaging methods like bone scans. However, this is only a part of the story. 9/17 men had metastatic HNPC. 8/17 men had metastatic CRPC. 16/17 men had clear evidence of metastasis. 1/17 men had high suspicion of metastatic disease based on clinical evidence. The total number of sites of metastasis was 520 in the 16 men with clear evidence of metastatic disease (an average of about 34 sites per patient). Another 61 sites showed equivocal evidence of metastasis. 17/17 patients had clear evidence of metastatic disease. The total number of sites of metastasis in the 17 patients was 592 (an average of about 35 sites per patient). Another 63 sites showed equivocal evidence of metastasis. In other words, yes, the 18F-DCFBC PET/CT scans were slightly better at identifying sites of metastatic disease, but in only one of the 17 patients might this have made any real difference to how a patient was likely to get treated. Now the true criterion of value for any new test is whether the results of the test are really likely to change the way a physician decides how to treat a patient. What this study seems to be telling us is that, yes, the 18F-DCFBC PET/CT scans are more sensitive than conventional scanning techniques, but that they really only have clinical value in a select group of patients whose metastases are not already evident and widespread in men with metastatic disease. If new techniques like the 18F-DCFBC PET/CT scans are going to have real, practical application, it will be because they can accurately identify sites of metastasis in patients with small numbers of such metastasis that might not have been found using conventional scanning techniques and in patients whose metastases might be treatable with highly targeted radiation of other forms of treatment — if the sites of metastasis can be identified with sufficient accuracy. Based on the data available in the abstract of this paper by Rowe and his colleagues, this only seems to have been the case in the one patient in their study who had no evidence of metastasis on conventional scanning but did turn out to have metastasis on the 18F-DCFBC PET/CT scan. As we have noted on a number of occasions before, the ability to do something scientifically doesn’t always mean that it is a good idea for all patients. The key question for the future is going to be: how do we best use these new types of imaging technique in the patients whose care may need to change depending on the results of the scan? The timing seems all backwards to me. It appears to be used to determine how late in the game an individual is (or how metastasized is the cancer). Myself, I would rather know before any radiation or prostatectomy that cancer has or had not metastasized. If it has, let’s skip that step and move on to the real battle. That is a change to treatment. In all honesty I am not sure I understand the point of this study at all. The value of any new test (as indicated in the last paragraph of the above commentary) is whether it is going to change treatment. I suspect the report by Rowe et al. was a case of a set of data in search of a place to get published! Is there any data related to reduced doses of chemotheraputic agents? Almost all chemotherapeutic agents can be used at reduced doses in men and women who are unable to tolerate the recommended dose levels. The degree to which using lower doses can still be effective is highly dependent on a whole range of factors that can include things like the patient’s weight, how the drug is administered, what other drugs are being administered with it, and whether or not the drug needs to be taken with or without food. If you or a family member are having problems associated with treatment using a specific form of chemotherapy, you really need to discuss this with the prescribing clinician. I think this was the result of a dose and efficacy study (NCT01815515). The purpose was to prove that it did detect known metastases, even under conditions of androgen deprivation and low folate levels, and it did. I think that the key finding, easily missed, is that unlike bone scans it could detect lymph node and visceral metastases too. 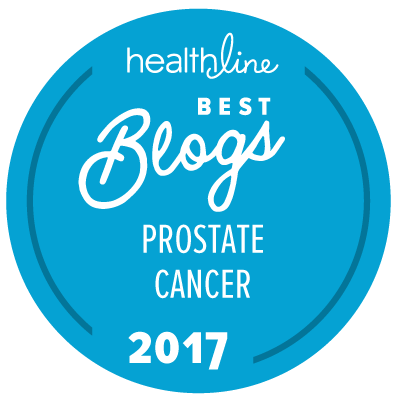 The researchers at Johns Hopkins also did another clinical trial (NCT01496157) to determine whether it could detect prostate cancer at an earlier stage, prior to prostatectomy. They found that it did (see Rowe et al.). While it was not as sensitive as MRI, it was more specific, especially to high grade tumors larger than 1 ml. It would seem that the two used together, perhaps using the new PET/MRI device, would be ideal for detection. Clinical trials of 18F-DCFBC continue at NIH (NCT02190279) where they are testing it in three groups of patients: (1) those with soft tissue metastases, (2) those with recurrent prostate cancer, and (3) those with bone/soft tissue metatases. Meanwhile, Johns Hopkins has moved on to a related radiotracer, 18F-DCFPyL. In a small study in Cologne, Germany, it was better than a [68Ga]PSMA tracer, and initial evaluation at Johns Hopkins looked good. They are continuing with two clinical trials: (1) NCT02420977 in men with newly diagnosed high-risk prostate cancer (using a PET/MRI) and (2) NCT02523924 in men with biochemical recurrence following prostatectomy. I am aware of Dr. Leibowitz’s opinions. “Dr. Bob” has been ploughing his own furrow in the treatment of prostate cancer for the best part of 25 years. The politest way to address his approaches is to say that they are less than conventional and that they are not supported by what most medical oncologists and others would define as “Level 1 evidence” from randomized clinical trials. Now this does not make “Dr. Bob” wrong in his opinions. However, having such opinions and practicing what he preaches also does not mean that he is right in his opinions either. He is simply ploughing a different furrow. Only individual patients can decide whether they want to plant their seeds along the furrow Bob Leibowitz has been ploughing. Most of the academic, research-based oncology community would not support “Dr. Bob”‘s approaches to the treatment of prostate cancer. Neither I nor any other advocate is in a position to be able to tell you whether Dr. Leibowitz’s approaches are either medically sound or clinically “better” than more conventional approaches. People have to make their own judgments. All I can really tell you is that there are a lot of things that Dr. Leibowitz’s patients are willing to do that I would absolutely not do unless there was a lot more evidence available to support such treatment strategies. Mike — Could you comment on this? There has been some assumption on the part of users of internet patient forums that the more sensitive scans can be useful to detect major tumors that can be removed laparoscopically or treated with radiation, and that this would be beneficial. Charles: Let me put together a specific commentary on that issue. It’s a complex subject for a number of reasons. I will try to do this in the next few days, and I will post something to PPML when I put it up as well. My personal view is not that finding and treating major tumors is particularly useful, just that “curing ” the original site is no longer of major benefit. You may be interested in this recent commentary. The outstanding question is whether local control really buys one anything when the cancer is most likely systemic and micrometastatic. We don’t really know if it even slows down progression to pick tumors off like that.